Who can make a difference in the world? 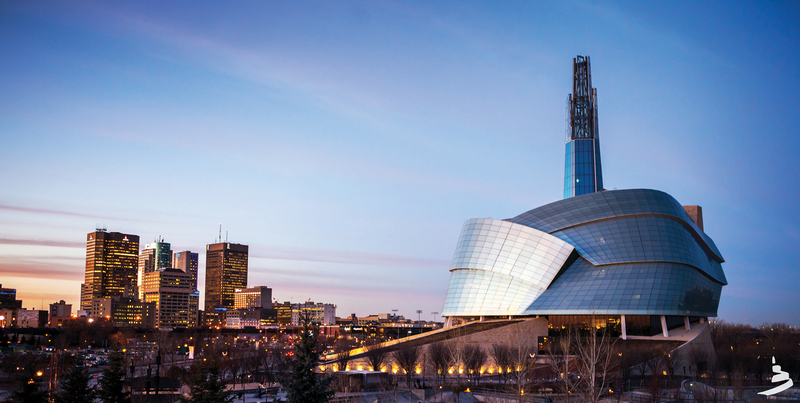 After visiting the Canadian Museum for Human Rights, Ben Berman realized – the answer is anyone. The 14-year-old from Halifax, Nova Scotia, visited the Museum through The Asper Foundation Human Rights and Holocaust Studies Program and said learning stories about everyday people made him realize anybody can take action and create change. 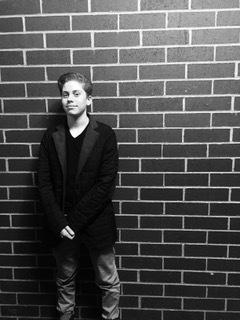 Many of the stories featured in the Museum were about things Ben had heard of, but didn’t feel an immediate connection to. Ben said he feels that it’s important for people to learn the stories told in the Museum so they can be motivated to make a difference. He explained that while it always feels good to volunteer or donate to a charity or cause, it feels even better when you know who will be affected and how. Ben said he hopes to return to Winnipeg one day and bring along some friends and family to visit the Museum. “I feel like I should educate my friends and family, all the stuff I learned on the trip so they can help me make a difference,” he said. As we come to the end of the 150th anniversary of Canada’s Confederation, I invite you join us as we look forward to the next 150 years. This year, thousands of Canadians and visitors from across the world came to the Museum to learn and be inspired by its powerful human rights stories and experience the special exhibitions presented in celebration of Canada150. The Our Canada, My Story and Points of View exhibitions were exceptional examples of how the Museum tells important stories of everyday Canadians, from coast to coast to coast. In Our Canada, My Story, it was truly touching to hear the human rights stories of seven Canadians as told on video. These included Ali Duale, a Somali refugee who now calls Halifax home and gives back to his community through his work as a firefighter and basketball coach, and Kevin Takahide Lee in Vancouver, who brings new Canadians together through the power of music. These are people who are making positive changes in our country, giving us reasons to celebrate and hope for the future. I hope you had a chance to experience these exhibitions and that you’ll be returning to the Museum soon to see many other important human rights stories that are always here for you to explore. And be sure not to miss Rights of Passage, a new exhibition coming later this year that will follow 150 years of Canada’s human rights journey. None of this would be possible without the ongoing support of Canadians in every part of our country, including more than 8,500 donors (and counting). Thank you! 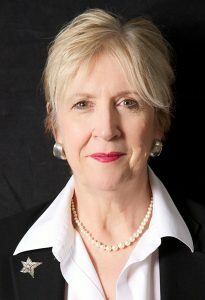 In closing, on behalf of the Board and staff of Friends, I want to extend best wishes to our CEO of the past four years, Diane Boyle, who has now moved on to new adventures. Diane played a critical role in the success of our capital campaign and in building strong, positive relationships with our donors and volunteers. Thank you, Diane! By the time you receive this newsletter, I will no longer be with Friends, as I’ve gone on to play a role in another exciting project in our community. I’m glad to have this opportunity though, to extend my sincere gratitude to all of you – the donors, volunteers, board members, Museum colleagues and others I’ve had the privilege to get to know while at Friends. Your passion for human rights and your generosity have truly inspired me, both in my work and personally. And of course, I want to say a special thank you to the Friends staff, without whose dedication, hard work and support I could not have done my job. While it was hard to say good-bye, I know the Museum’s supporters are in good hands with the wonderful team at Friends. 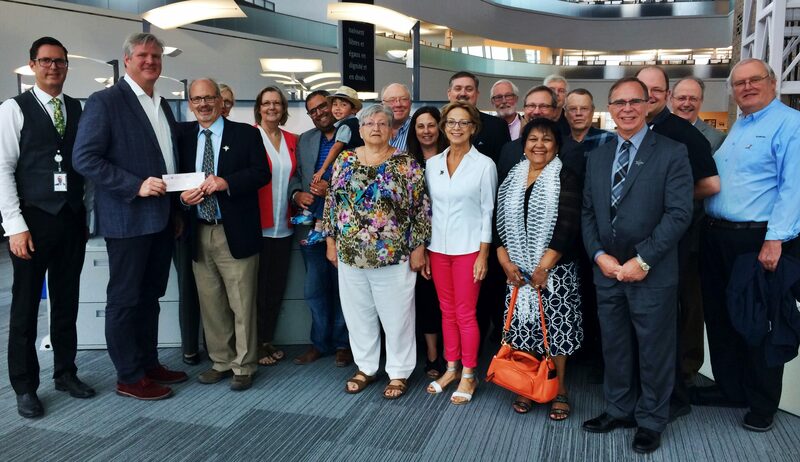 The Kiwanis Club of Winnipeg celebrated its 100th Anniversary this year by presenting its second donation to Friends of the Canadian Museum for Human Rights. The Club’s first gift in 2008 helped build this life-changing Museum. The continued support will help with the advancement of the Museum’s education programs and development of new exhibits. John Young, CEO of the Museum, welcomed Derek Johannson, Chair of Carlyle Printers Service & Supplies Ltd., who came to the Museum for a tour with a group of guests. Derek is a long-time supporter of the Museum and we’re happy to share that his guests were so impressed with their Museum experience that they each gave a generous donation in support of the Museum’s education programs. Thank you for your support, and thank you Derek, for being such a wonderful CMHR ambassador! Business leaders from Canada and the United States, hosted by the Manitoba Real Estate Association in partnership with the Canadian Real Estate Association and the National Association of REALTORS® in the U.S., visited the Museum in June. Ten years of amazing golf, celebration and fun in the sun have resulted in over $100,000, including an amazing $19,500 at this year’s event, being raised for Friends. 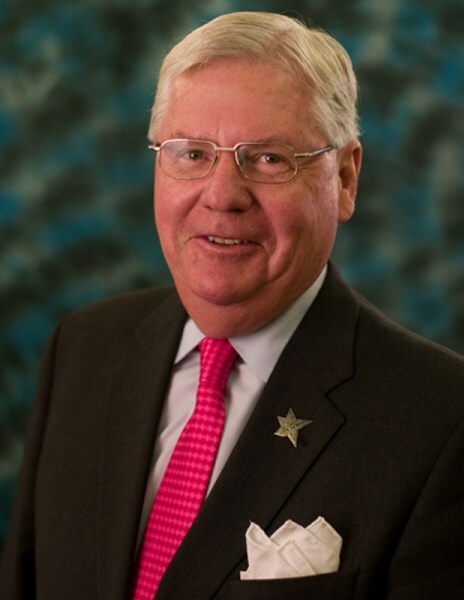 A huge thank you to everyone who made this year’s Drive FORE the Stars, held on August 24 at Larter’s at St. Andrews Golf and Country Club, a success. 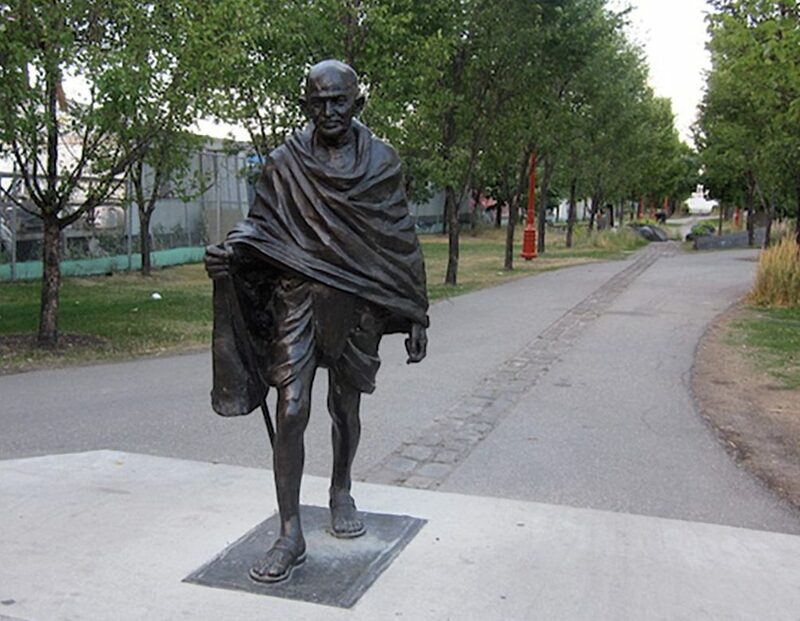 Thank you to everyone who attended and supported this wonderful event at East India Company, that raised funds for the repair and maintenance of the Gandhi statue at The Forks, near the main entrance to the Museum. Celebrating Gandhi! raised more than $20,000 thanks to the hard work of the event committee, led by Romel Dhalla. We are also grateful to Vikas Swarup, India’s High Commissioner to Canada, who graciously served as the event’s Honorary Patron. A renowned writer as well as a diplomat, Mr. Swarup is well known for his work Q&A, adapted to film as Slumdog Millionaire. 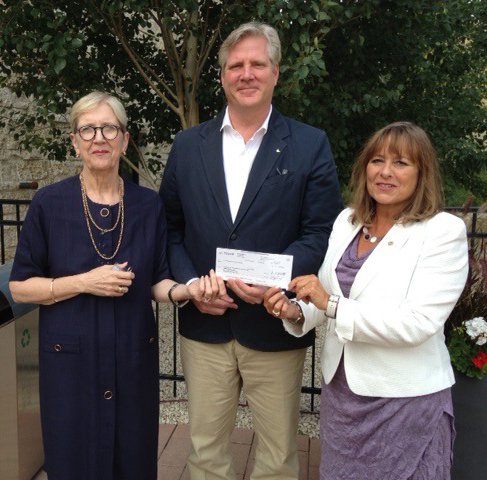 Diane Boyle, CEO, Friends of Canadian Museum for Human Rights, and John Young, CEO, Canadian Museum for Human Rights accept a $20,000 contribution from Telus. Presenting the cheque is Gail Asper, Telus Manitoba Community Board Member. The Canadian Museum for Human Rights three-year National Student Program pilot project is complete. This remarkable human rights experience is now being developed and implemented for students from across Canada. Students visiting the Museum through this program will be provided with the tools they need to be upstanders – those who will stand up for their own rights and the rights of others. 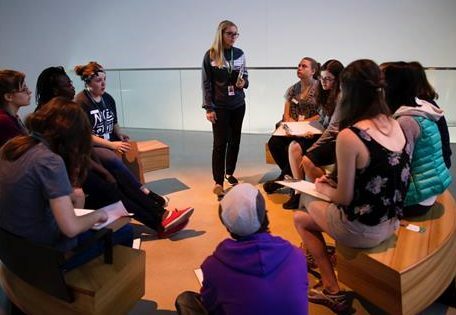 The one to three-day program focuses on experiential learning and discussions related to human rights themes featured in the Museum. Education is one of the primary purposes of the Museum. In addition to the highly successful human rights programs offered to primary grade students, it is the Museum’s goal to have many more post-secondary and high school students from across Canada visit the Museum each year, to learn and become inspired to make changes in their communities. With your ongoing support, thousands more young people will have this incredible experience, encouraging them to take action, making their communities – and all of Canada – better for years to come. You’re invited to join the new Changemakers Circle! As a child trying to survive the horrors of the Holocaust, Anne Frank knew that humanity would only progress if people don’t wait to take action when it’s needed. Friends’ new Changemakers Circle is a group of people who want to generate positive change in the world now by offering ongoing financial support of the Museum’s galleries, exhibits, outreach and educational programs. In addition to their annual gifts, Changemakers stay engaged with the Museum through special activities such as networking events, ‘insider’ learning sessions and more. We invite you to join this growing group that is dedicated to improving the world – today and for the future – by sustaining the Museum’s important work. Please don’t wait… become a Changemaker today by pledging a sustaining annual gift of $500 or more. The Honourable Ron Ghitter, Q.C., LL.D. Thank You and Welcome, New Donors! More than 8,500 supporters from across Canada have donated to Friends of the Canadian Museum for Human Rights since the Museum project was launched in 2003, making it possible for thousands of visitors to become educated and inspired by powerful human rights stories every year. See the complete list of Our Donors. If you are considering making a major gift, our Regional Campaign Managers are available to provide any information you need.